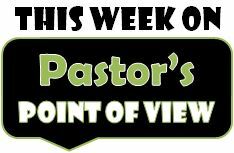 Each week on our Living Life 180 Christian Talk Radio Show, we’ll have a pastor from a Bible-based church join us during the “Pastor’s Point of View” segment. It’s one thing to hear us talk about Biblical principles, but we want to ask the experts to weigh in on the scripture, topic, or questions for the week. Please try entering https://graph.facebook.com/451160948325245/photos?fields=source,link,name,images,album&limit=6 into your URL bar and seeing if the page loads.Facebook API came back with a faulty result. You may be accessing an album you do not have permissions to access.